This is an article from CRF’s March newsletter. Sign up for our eNewsletter here! There is a popular book out called When Helping Hurts. Although it has some good material, I don’t really care for the title. I wish someone would write a book called When Helping Helps. Some economists from Yale and Columbia recently wrote a book called More Than Good Intentions. They studied charitable works around the world and found that some were good and others were not. Their conclusion was to find one that is helping and support it immensely. And don’t support the ones that aren’t doing a good job. I think that is a good analysis. There are so many good efforts that are really helping people who need some grace. Find them and help. 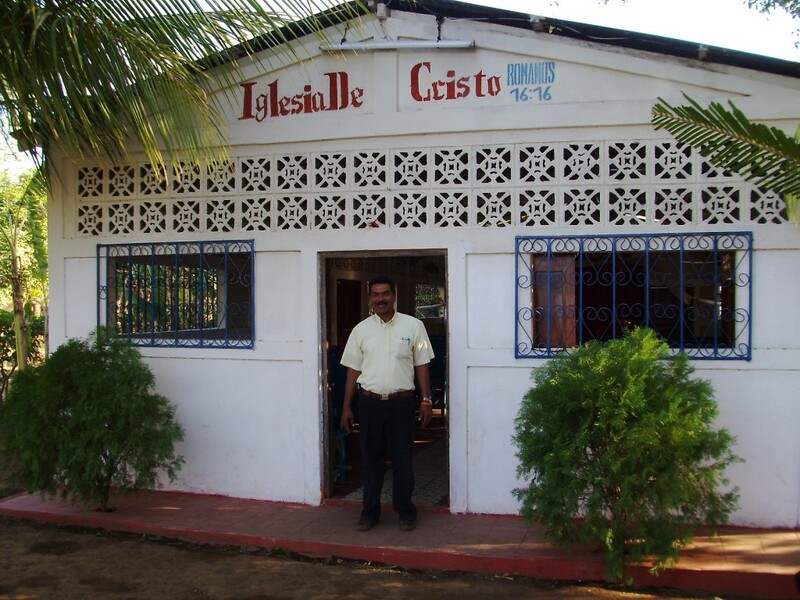 Because of your support, Christian Relief Fund is drastically changing lives around the world. Children are breaking free from the cycle of poverty, families are learning about the grace and love of Jesus, and those struck by disaster and disease are experiencing the incredible provision of God. Last year, CRF was very active in drilling wells in areas of famine. We want to continue giving clean water in 2012. One of the ways you can get involved is by organizing a H.O.P.E. Water Project. It’s the perfect project for a youth group or anyone. Give up the beverages you buy and drink water, and give the money to CRF to drill a well where they don’t have clean water. San Jacinto Christian Academy in Amarillo did this & asked their friends to join them. They raised $20,000 and helped drill a deep well in Turkana for thousands of refugees! Want to do a H.O.P.E. Water Project in 2012? Let us know so we can help you with a plan and resources. It’s not over. 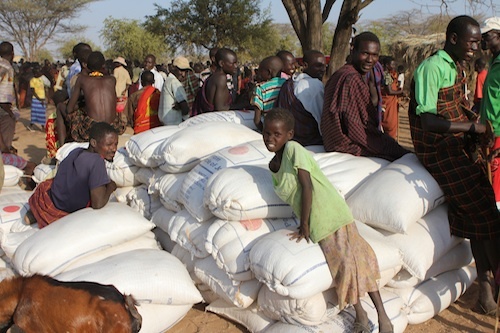 There are still millions of people in the Horn of Africa without adequate food and water. We are not giving up. We can’t give up. We still need the help—and lots of it. We are going to keep bringing in food, drilling wells, & providing care for children. Visit our disaster donation form to give for the Horn of Africa. We want to start growing crops instead of simply buying food in places of drought. Now that we are drilling wells, we can start drip irrigation to produce our own food. This gives us a sustainable and long-term plan to help in the places where there has been little or no rain. Already our CRF workers on the field are getting training. We hope to get more people trained. We need land, water, seeds, and training. It’s going to help us go the distance. 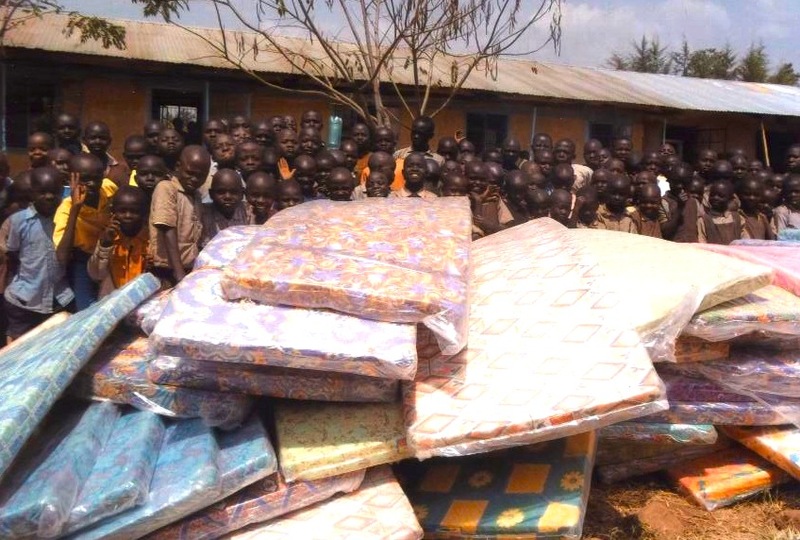 In some of our newest ministries, the children are still sleeping on the ground or the floor. 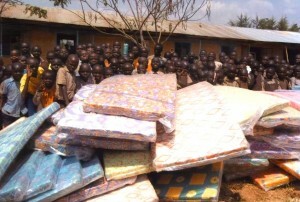 I hope that by the end of the year, all of our children have a comfortable place to sleep. The youth group from the Northwest Church in Seattle had a big drive during the Christmas season and gave over 200 mattresses to children who were sleeping on the ground.  If you are not aware of it, CRF provides spiritual training for our children. We also plant a lot of churches. Our ministers need better training. We provide the help they need for taking care of children. But some of our preachers need to learn some skills in preaching and church planting. The Messiah Theological Institute of Mbale, Uganda is a perfect place for many to train. Many of our key CRF leaders could commute there and get trained if they only had a scholarship from someone. 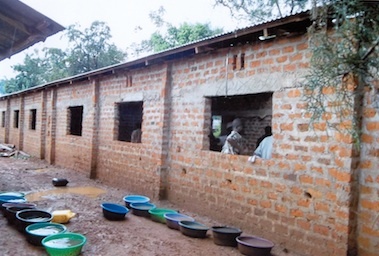 Our dream in 2012 is to build two new campuses for children in desperate need. 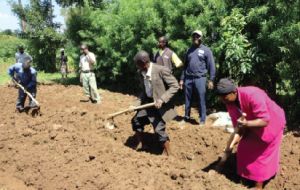 We desire to build a campus on Emmanuel’s Farm in Eruli, Kenya that will include dorms, a school, latrines, water, irrigated farming, cattle, a kitchen, a dining hall, mattresses, schoolbooks and supplies. We can see this place becoming an oasis in the middle of a famine. We also hope to see our work in Crozierville, Liberia acquire a state-of-the-art facility with school buildings, dorms, kitchens, playground, and a farm. Our work in Monrovia is one of the finest schools in the 2nd poorest country on earth. Our new school will imitate it to bring the best of education and loving care to the least of these in Liberia. 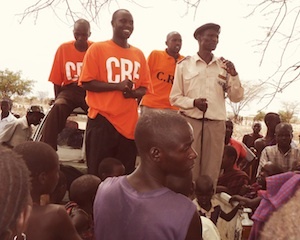 Want to Help Support these CRF projects in 2012?